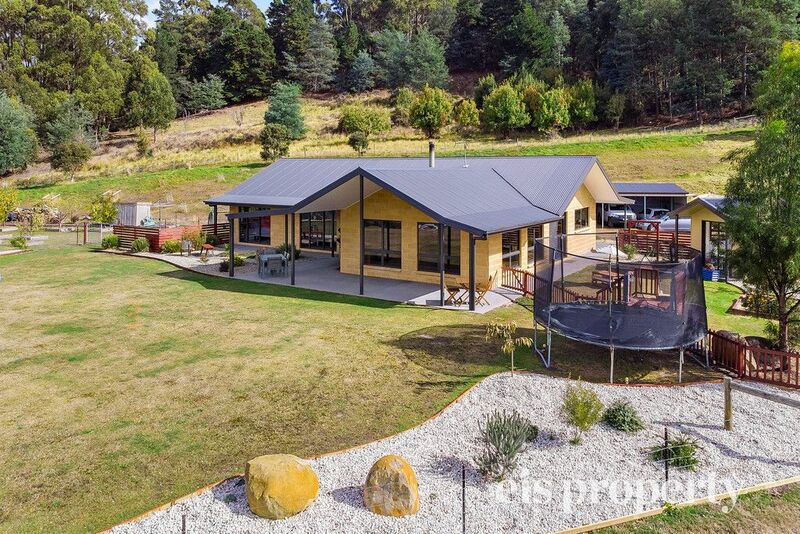 Immaculately presented, this versatile home offers a family an amazing opportunity to secure a private and peaceful lifestyle only 45 minutes from the Hobart CBD. 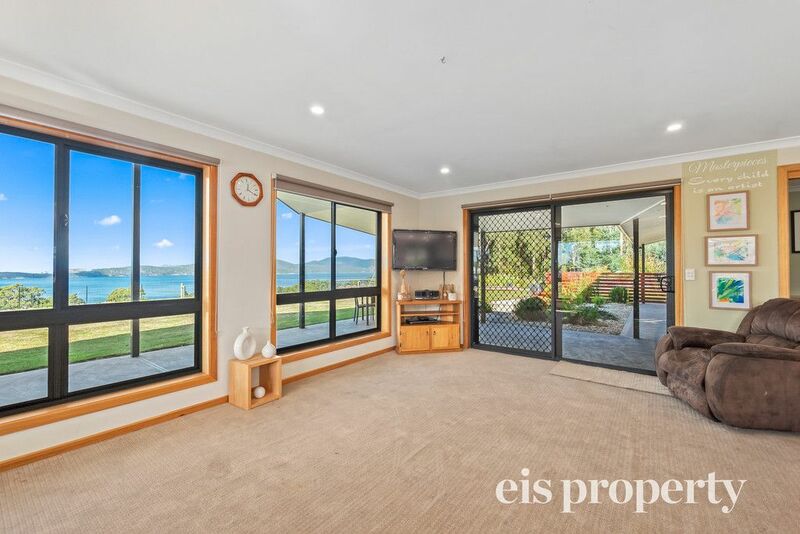 The vibrant community of “The Channel” as the locals lovingly call it, takes in the picturesque scenery of the D’Entrecasteaux Channel, with this property in particular overlooking Bruny Island. You are a 2 minute walk from the local shop and post office, 10 minutes drive from Woodbridge and just around the corner you will view some of the most amazing Aurora Australis (Southern Lights) vision. Close by are so many farm gates, artisan retailers and award-winning tourism and hospitality providers. 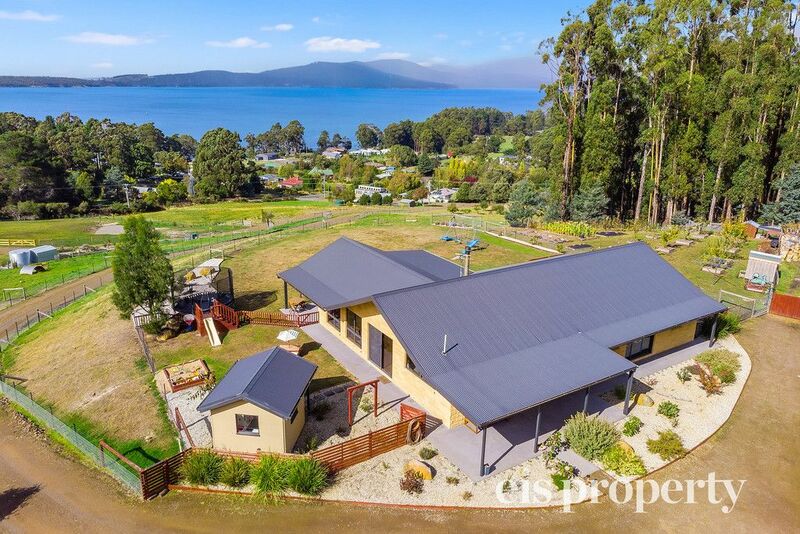 You will be spoilt for choice when it comes to secluded beaches, boat ramps and jetty’s, bush-walking and riding tracks and a popular local school provides a bus from the bottom of the street. 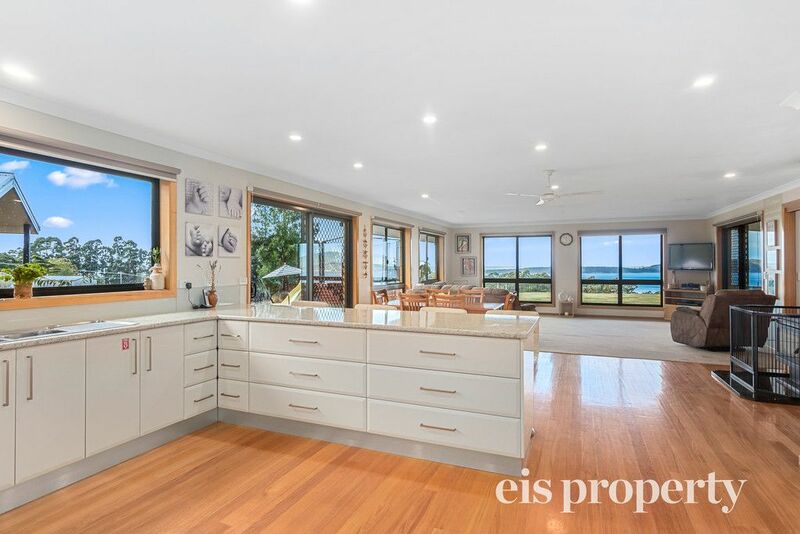 The home has a well-designed floor plan with a spacious open plan living area taking in the spectacular water views. 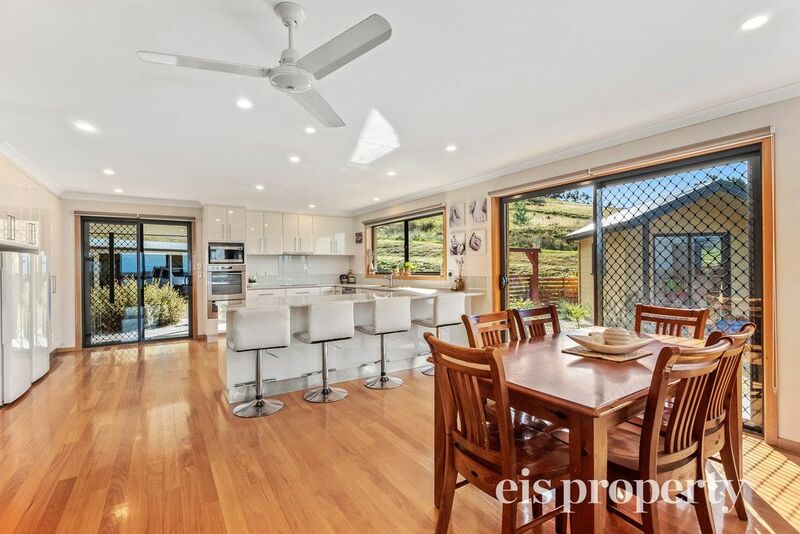 The crowning glory of the living area is a U-shaped white kitchen with polished floor boards which provides a large family with a great meeting place and the perfect entertaining hub. Leading off from the dining room and family room are 2 sunny outdoor spaces overlooking the fenced yard, perfect for a child’s play area, barbecue and entertaining area. From almost every room in the house you can see what is happening outside, and of course that view! 3 good sized bedrooms, the main with an ensuite, plus a study provides ample room for the family. Adjacent to the house, off the garage, is a teenage retreat/man’s cave with plumbing that brings extra space for the large family or perhaps for your guests. A newly constructed studio a few steps away from the living area is a great area for the home office, writers or artists retreat or a play room for the kids. 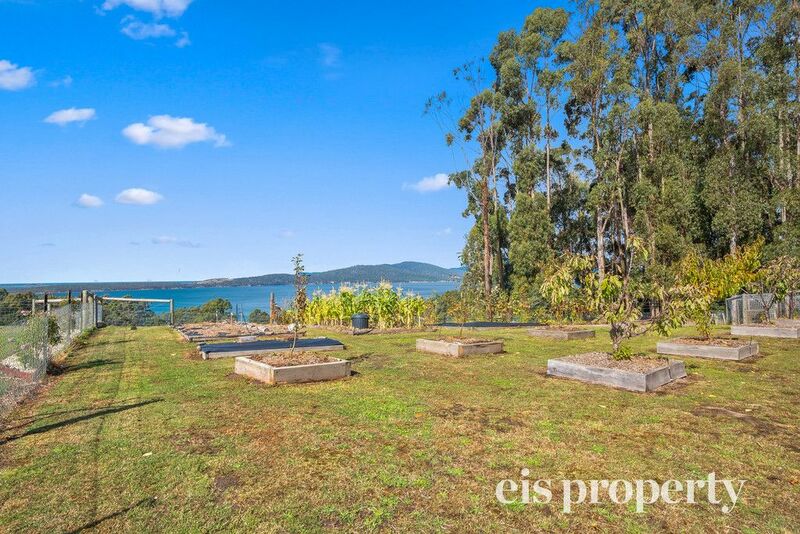 There is plenty of covered space for vehicles and machinery and room for a boat and caravan. There are several outbuildings, always handy in the country! and a dam where the current owners irrigate the garden and small orchard from. 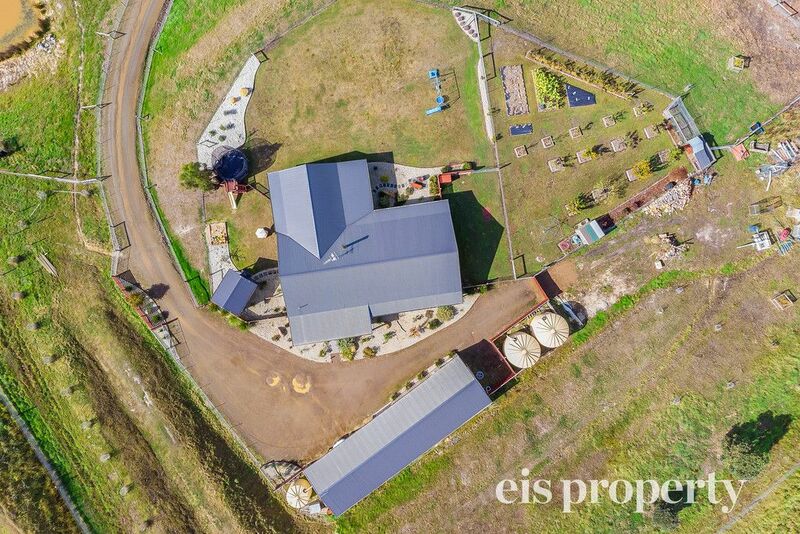 If you are keen to have some animals there are fully fenced separate paddocks, you may even wish to keep the sheep already there! 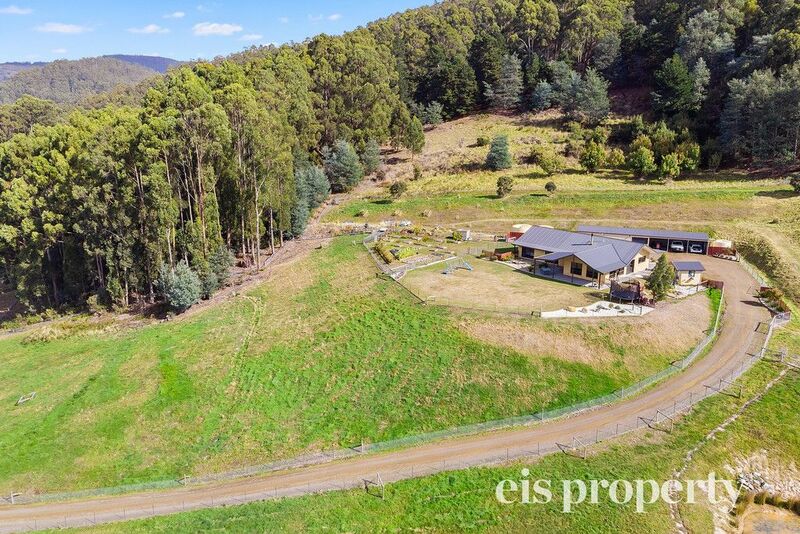 Comfortable and convenient rural family living with classic style and that added wow factor of panoramic water views has never looked so good! Call to make an appointment to view this beautiful home and make it yours!